Born at Cleveland, Ohio on 11 January 1872, son of Rev. 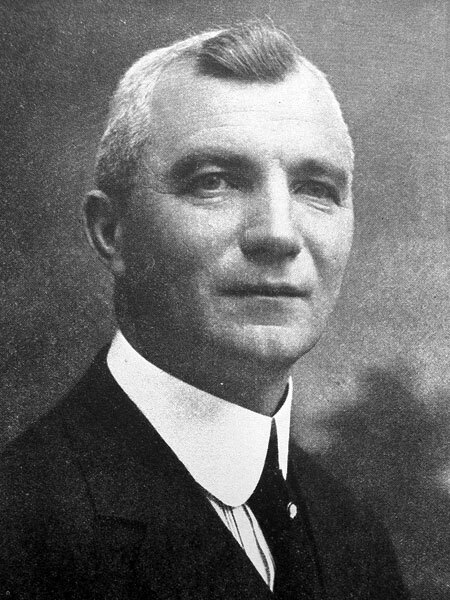 W. C. Beer, he attended the Hamilton (Ontario) Normal School and began his teaching career at Picton, Ontario and was later the Principal of the Kincardine Model School. He moved to Brandon in September 1906 and was English Master at the Brandon Collegiate for eight years. He was appointed to the staff of the Brandon Normal School in September 1914 and taught there until his death. He died on 3 August 1934 while driving near Minnedosa with his family, and was buried in the Brandon Cemetery. “Funeral service for William Beer, Brandon, Tuesday,” Winnipeg Free Press, 6 August 1934, page 4.